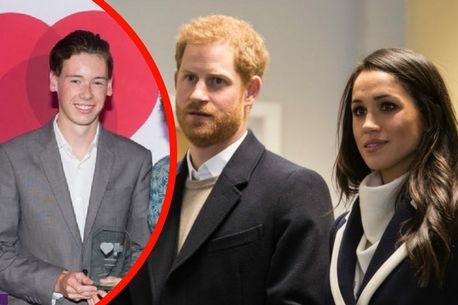 A Somerset teenager who found himself homeless at 15 has been invited to Prince Harry and Meghan Markle’s wedding. Kai Fletcher had a difficult childhood growing up in a household troubled by alcohol and domestic violence, and later found himself homeless. After turning to Bath-based charity Southside for help, the 18-year-old now works for the organisation as a young advocate team leader having turned his life around. “It was a bit surprising. I am looking forward to going, really excited,” he said. Mr Fletcher, who lives in Bath, said he would be taking his sister Louise with him to the wedding at Windsor Castle next month. He said he had met the Duchess of Cornwall when she visited the Southside project in Bath last year with the Lord Lieutenant of Somerset Annie Maw. “The Duchess was really lovely and I quite liked her. She really listened to what you had to say, which was nice,” he said. Be the first to comment on "Harry & Meghan: Somerset teenager who was left homeless at 15 receives invite to event Windsor Castle"